Sadly, millions of dogs live in animal shelters across the nation. So when you are ready to add a new member to the family, animal shelters are a great place to find a wonderful companion. You don't have to go to a breeder to get a good dog—unfortunately this expensive myth still persists. Shelters and rescues are overflowing with amazing dogs of all breeds, temperaments and drives. Please consider rescuing first. If you rescue from a shelter, you know you are saving a dog's life and don't inadvertently support puppy mills, which are the main reason for the pet overpopulation in the first place. Many dogs end up in shelters due to no fault of their own. Many were abandoned for no other reason that they were no longer wanted. That says a lot about the people who abandoned them, but we shouldn't hold it against the dogs. However, selecting your new best friend requires a considered choice and not an emotional one. Consider these points for a successful selection. Before you go to the shelter please honestly assess your own energy level and how much exercise—daily walk—you can provide a dog. All dogs require a minimum of forty-five minutes of walking per day—every day. Working and herding breeds will need even more daily walking time. If that is not possible at the moment, dog ownership should probably wait until your schedule allows. I recommend having the whole family discuss and agree on the house rules for your dog before it comes home. Where does it get to go and where not? Where will it sleep? Who will walk it and for how long? Document the family rules and make a plan—holding all family members to it. It's a family dog and not just one person's dog. I also recommend breed research for anyone who has their heart set on a specific breed—know what you're getting yourself into. Most breeds can be found in shelters or breed-specific rescues. Leave the kids at home the first time you go to the shelter. It's best to preselect a few dogs that meet your family criteria and only let your kids choose from those dogs later on. Kids get emotionally attached too fast and you might end up with an incompatible dog. Speak with kennel staff and ask them about the demeanor of the dogs you are interested in. Does it get along with other dogs? How about other pets like cats? How is it with children? The kennel helpers won't have all the answers but it can't hurt to ask. When meeting dogs at kennels, it's best to keep some distance from the bars. At first, avoid looking straight at the dog, talking to it or even touching—look sideways, don't stare. Kneeling down to be less intimidating can also be helpful. The ideal approach of a dog towards you is a slow, respectful but curious approach; with its nose forward—sniffing. This indicates curiosity and not fear, respect and not excitement. A dog, that just runs up to you, excitedly wagging its tail and/or barking is not simply happy to see you. These are signs of assertive behavior, high levels of energy and such a dog can be tougher to handle. Dogs that act like this are best left for knowledgeable dog rescuers who know how to provide the right kind leadership to more dominant dogs. You can of course also learn how to deal with this but please understand what you're getting yourself into—just make an informed, considered decision. When you are ready to meet a particular dog, locate a kennel helper who can get it to the socialization area. Wait inside that area and let the helper bring the dog in. Ask the them to bring the dog inside, close the door and let it go. Ideally the helper waits outside. If that is not possible, ask them to stand to the side and leave the dog alone—you want to see as much of its normal behavior as possible. Initially, resist the temptation to interact with the dog. Don't touch it. Don't talk to it. Don't look at it directly. I know it's hard but wait for the dog to come to you. The typical behavior of a balanced dog would be to ignore you in the beginning, check out the area first and sniff around a bit before taking an interest in you. A dog who first asks himself "Where am I?" and only then "Who else is here?" is behaving like a balanced dog should. 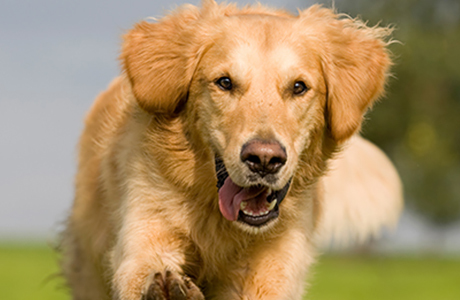 A dog that runs straight up to you has a more assertive and/or dominant mind set and will be a lot more work in terms of training, leash-walking and integration with existing family pets. After checking out the area, its approach towards you should be respectful. The dog should approach curiously and slowly with his nose forward—more sniffing first than moving. It should however come to you eventually and neither be fearful nor shy. Only once the dog has sniffed you, should you start interacting. Make every effort to be calm and respectful as well—I know it's challenging. Keep your hands where the dog can see them. Surprising a dog is usually not a good idea, especially when you don't know each other yet. It should see the hands that want to pet it and sniff them, if it does, that is permission to move forward; if it doesn't don't force it. The dog might need more time to be comfortable. Be patient. There is of course nothing wrong with rescuing a dog who doesn't behave in an ideal way, but be aware that such a dog will need a more knowledgeable handler, more training, and possibly rehabilitation should issues arise once he comes home with you. These dog selection tips apply to dogs from all sources including breeders. Generally, know that what a breeder considers a good fit for your family and what is actually a good fit can differ. We hope these tips are helpful in selecting a good shelter dog and if you are looking for on-site support, we are available to assist in dog selection before, during and after shelter visits; please contact us here.